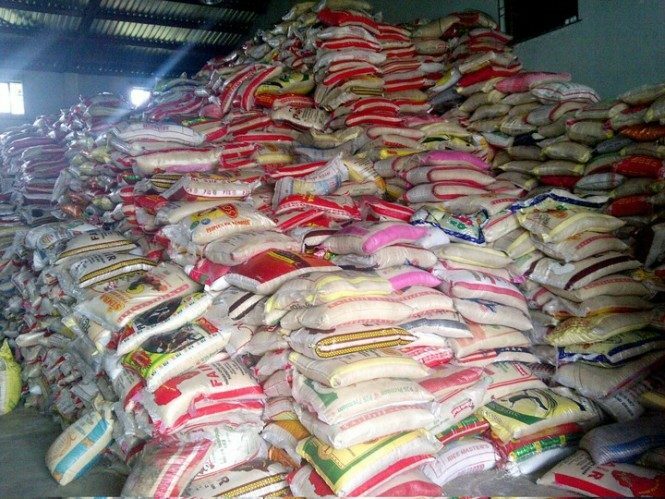 Few days ago, the traders of Ekeoha Shopping Centre and Ariaria International Market Aba recovered their goods back from the hands of the Nigerian Customs who intercepted it along Rivers State Rail way station. The goods were kept for two weeks and three days before releasing it to their owners having paid a huge amount of money as bribe. These goods were procured at Kano Market Katin Kwari to be precise. The Nigerian Customs are meant to mann the borders to prevent country banned goods from entering the country; also to make sure that the custom duty of goods is fully paid by the importers before crossing the borders. But from the above illustration, it seems to me in Nigeria, the reverse is the case as they leave the borders where they were meant to discharge their duties, to even the rural areas to disturb the poor masses who buy goods from their importers. Note that the high ranking officers in the Nigerian Custom Service are dominated by the Hausa/Fulanis. They ignore the importers of texile materials because they are their fellow brothers and come down to Biafra land to seize the goods of innocent Biafrans who go all the way to Kano and purchase goods. Once the goods leaves the north to the south east it will automatically becomes contraband goods just because it's in Biafra land. What a heartless intimidation by people who claim they are one in the same country with Biafrans! It’s quite disheartening to see such level of hatred melted on Biafrans by the Hausa/Fulani been that they have been stationed in every area of the Nigeria government to keep frustrating Biafrans in Nigeria. The issue here is that after Biafrans pay hefty amount of money to clear goods through some channels, this Custom officers would still send other officers to intercept the very goods already thereby defrauding the owner again and leaving them in a state of confusion, by making their business stagnant for another number of weeks. There is no way someone can defend this expired contraption called Nigeria without be lashed. We are not one and can never be one. The hatred, the north has for Biafrans cannot be over-emphasized. It is not hidden. They show it without any kind of remorse in all ramifications. Its this same hatred that leads to the killing of Biafrans at any slightest provocation mostly in the northern region of Nigeria and right now, they have invaded Biafra land by using the Herdsmen to murder Biafrans. The level of impunity Biafran business men and women go through in the hands of the custom staff is heartbreaking. They pass through hell trying to transact businesses in Nigeria. The Nigerian Customs have ended the dreams of many Biafran business men and women by intentionally seizing and destroying goods worth millions of dollars. These Hausa-Fulanis customer officers extort many wealthy Biafrans to the extent that most of them do not know where and how to begin again. The restoration of Biafra will put an end to all these mess and oppressive attitude towards Biafrans. Our men and women will feel free to transact businesses without any molestation of any kind. Biafra will bring peace and stability to all in our land.